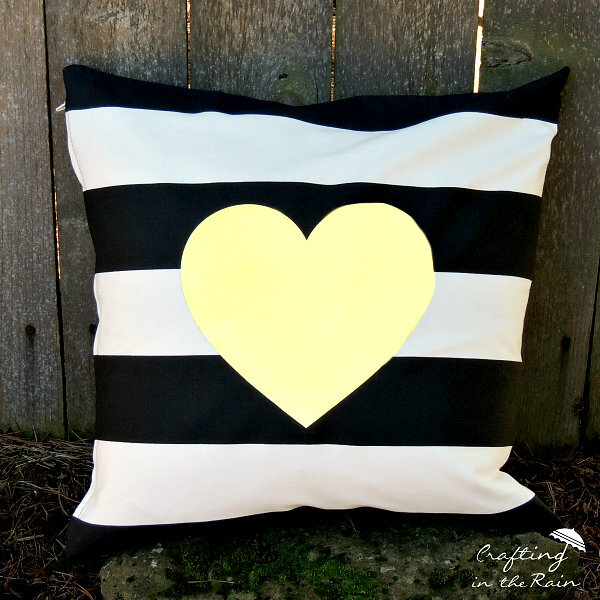 You just need to pick up a black and white stripe pillow cover from IKEA and a sheet of gold foil heat transfer vinyl. Be sure to grab the pillow form from IKEA too. 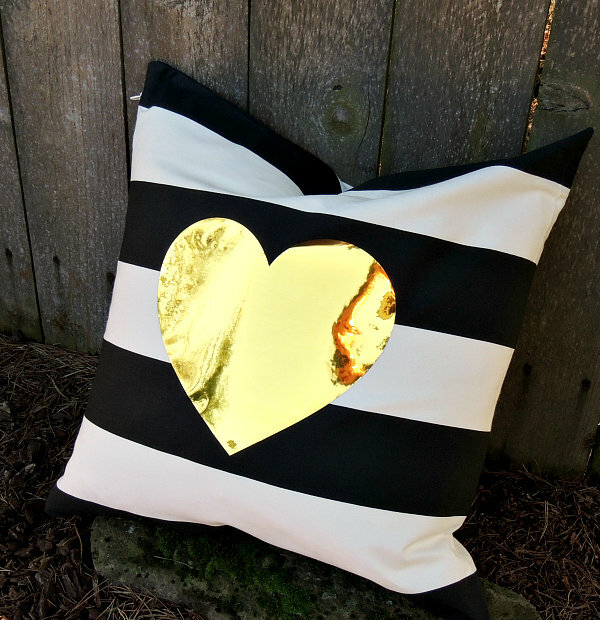 This gold heart pillow looks great on a bed or a couch. 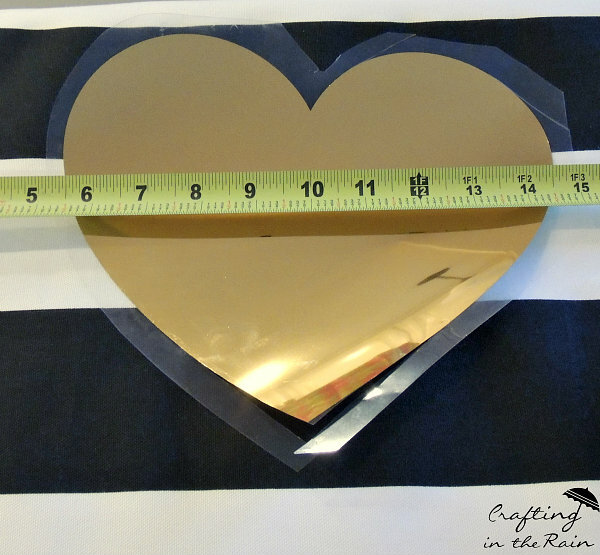 Use a Cricut to cut out a heart that’s about 8×9 inches. Make sure that you load the vinyl with the shiny side down to cut it. 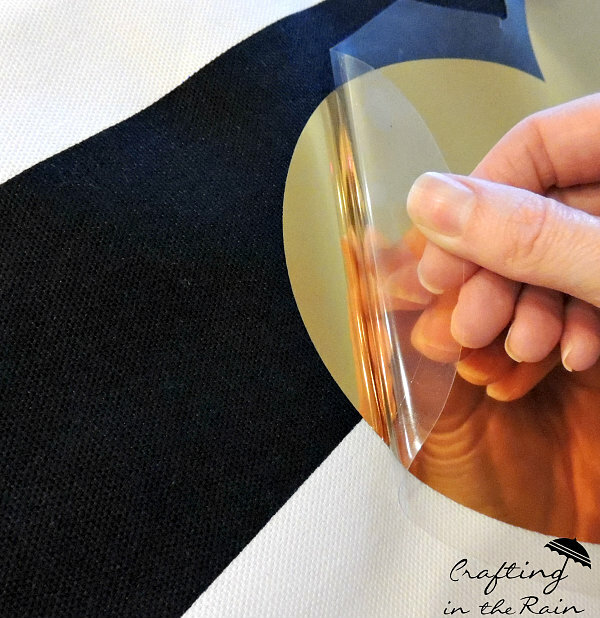 Click here to learn more about cutting iron-on vinyl. 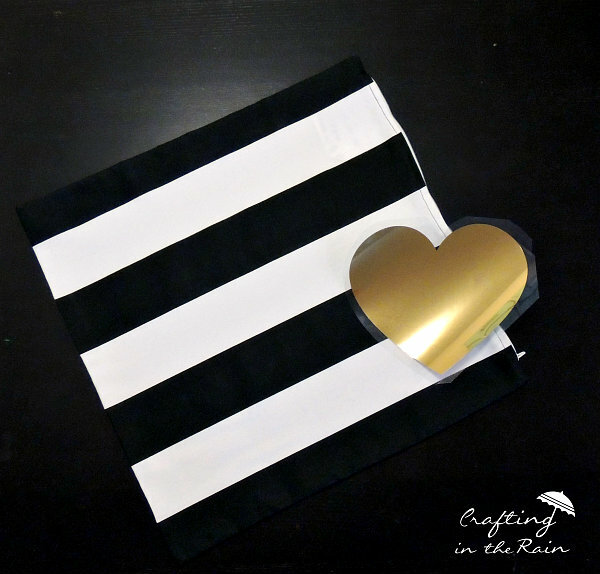 Peel off the excess and position the vinyl on the center of the pillow cover. This works best if the pillow is not inside yet. 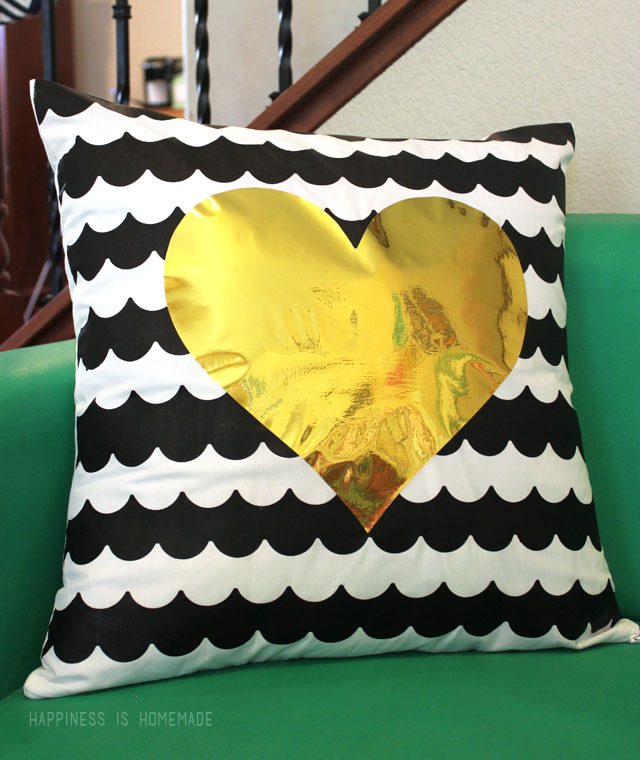 But, if you’re adding this foil heart to a pillow without a removable cover it will still work. Iron down, or use an EasyPress to adhere and peel off the plastic after it’s cooled. Then add the pillow insert and you’re done! Would you love to have this on your bed or on a couch? 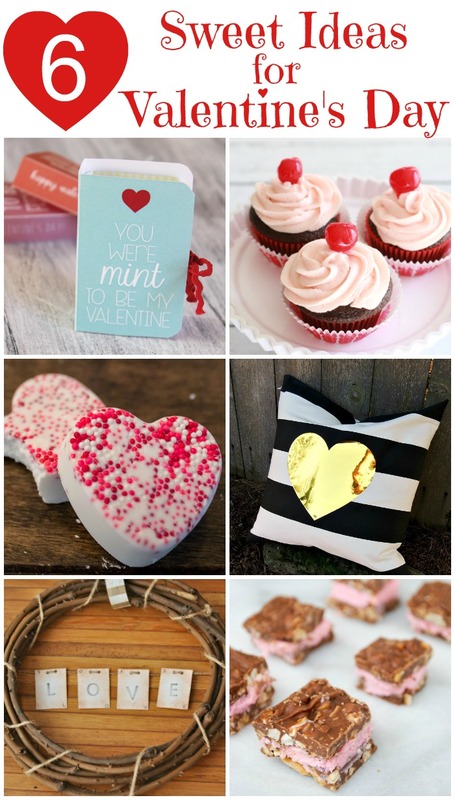 AND our craft group is back at it this month after taking a break from a hectic December, so be sure to click over to all these other fabulous Valentine projects!